Hear from an inspiring business owner and network! The next 'Women into Business' event, brought to you from Business Gateway to give you an opportunity every month to hear from a Business Owner sharing their journey. These events take place in informal and friendly environments. You can enjoy light networking with people either thinking of starting a business or who have recently started. We welcome you to bring along a friend or business contact as the event is free to attend and open to all. 6:30 pm to 9 pm. Julie Mackenzie visited a trampoline park with her husband John and 3 boys while on holiday in England and loved it! On the journey back to Aberdeen they decided to look at the possibility of opening one in Aberdeen. 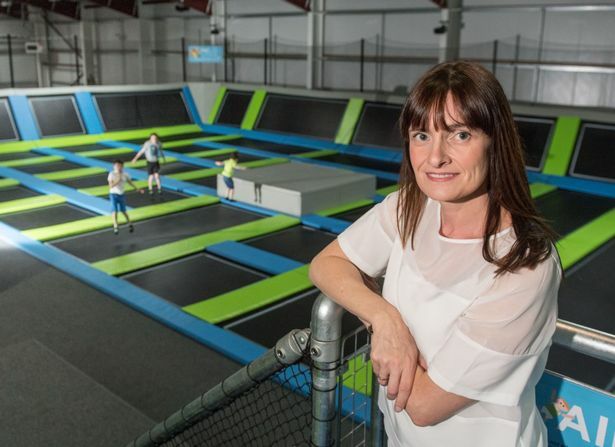 Starting small is not really an option for a trampoline park and after an initial disappointment, they secured the perfect premises in Inverurie. Now, after a year of trading, they are very proud to run Skyline independently and serve the people of the North East providing the area with a top quality leisure and sports venue which is available to all ages. Both originally from North East towns Julie and John have managerial backgrounds in banking and oil & gas. At the helm for the first 9 months as John returned to work overseas, Julie has relied upon the family for support at home and the fantastic 58 strong team at Skyline. Business Gateway care of Elevator UK, All rights reserved.